Food storage containers can be used for many purposes, including storing leftovers in the refrigerator, protecting make-ahead meals from freezer burn, keeping bulk-purchased food items from going stale and transporting lunches to school or work. I have first-hand experience with all of the items discussed in this article. I received free review products for a number of the items discussed in this article, while some are products that I have purchased for use in my home. The opinions presented are my own. Pyrex glass storage containers are among the best choices for storing leftovers and have long been my favorite. I have a kitchen drawer filled with various sizes of Pyrex storage containers, ranging from 1-cup round containers to 11-cup rectangular dishes with basic and no-leak lids. I switched to glass containers after getting tired of throwing away plastic containers that seemed to quickly get stained and carry food flavors and smells even after being washed repeatedly. I tried several brands before deciding to stick with Pyrex. I like Pyrex containers for several reasons. They are made with high-quality, sturdy glass that can go straight from the refrigerator to the oven and is also microwave safe. It's easy to store the containers when not in use, as same-size containers can be stacked easily on shelves or in drawers. They are easy to wash and never pick up stains, food flavors or odors. Lids are available in a variety of styles, including snap-on plastic and glass, and it's easy to find replacement lids to purchase. Jenn Clarens of FoodBloggersUnite.com also points out that these containers are BPA-free choices perfect for storing and saving food. 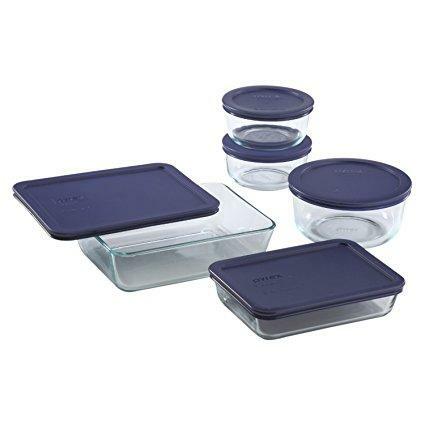 Pyrex containers are available from most stores that carry kitchenware. You can also order from World Kitchen. Prices vary based on size and quantity. Individual pieces typically vary between $4 and $8 each, while a set of 18 storage containers may cost around $35. If you like to prepare make-ahead meals in large quantities or if you purchase large packages of meat and vegetables to separate for freezer storage, you may find that a bag sealer system is a more practical option than using actual containers. I received a FoodSaver V3880 to review and found the appliance to be very simple to use, as well as effective and practical. Reviewers on Amazon also report positive experiences with this product, indicating that it "works and looks great (with) powerful suction (and an) easy seal". The Food Saver vacuum sealing system provides an easy way to, in essence, make your own space-friendly freezer storage containers. Because the bags it creates to store food are vacuum sealed, they lie very flat, making it possible to freeze and store significantly more food in the same freezer space necessary when using traditional containers. 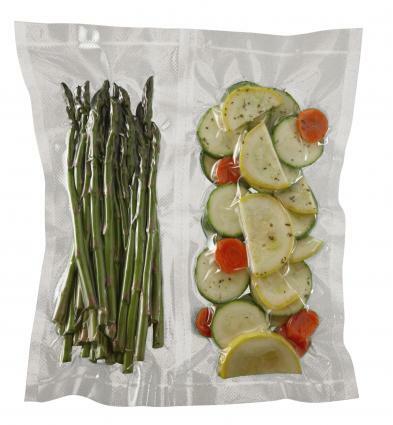 Additionally, items stored in FoodSaver bags seem to stay fresher longer than when using traditional pre-made freezer bags. An article on the Tammy's Recipes blog indicates that FoodSaver bags are heavy duty and do a great job preventing frostbite. You can order the FoodSaver V3880 Master Chef Kit directly from the company for just under $185, and an option to divide your purchase into four payments is available. The kit comes with the FoodSaver appliance, a heat-seal roll, a pouch roll, a few quart and gallon size bags and a bonus oval marinator. It's hard to beat the long-lasting durability of Rubbermaid containers for storing dry food items. Whether you're looking for a way to keep cereal fresher than leaving it in the box after it's opened or searching for a convenient way to store flour, pancake mix and other pantry staples, there are Rubbermaid options that will meet your needs. Rubbermaid containers come in a wide variety of sizes, each of which can serve a practical purpose in the modern kitchen. 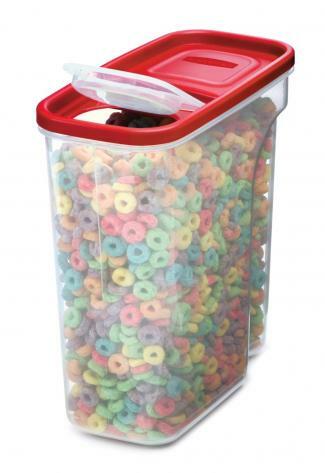 For cereal and dry goods, it's hard to beat the company's practical Cereal Keeper container and set of Modular Canisters. I have used both of these items in my home for a number of years, storing everything from cereal and crackers to pasta and baking supplies. I have been very impressed with their effectiveness when it comes to keeping food items fresh, as well as their durability through continuous use and repeated washings. Reviews on Epinions are positive, with readers describing these containers as being well-designed and effective for keeping dry foods fresh. Individual cereal containers cost around $8, while the eight-piece canister sets cost about $20. You can order directly from Rubbermaid, as well as purchase from a variety of stores that carry kitchenware. Popular retail options include The Container Store. If you are looking for a great storage container option for packing individual lunches to take to school or work, the Cool Gear lunch collection might be exactly what you are looking for. I received this company's collapsible salad container and collapsible bento box for review and was very impressed with both items. There are several other items in the collection, including containers designed for steaming and carrying meals that will be microwaved before eating. Each piece is made from BPA-free plastic, designed for easy storage and features a freezer-tray or lid to provide built-in cooling capability. There are several reasons that I really like Cool Gear containers for work-day meals. Like many busy people, I struggle with the challenge of making sure I have access to healthy mid-day meals when I am on the go. I don't always work from my office, so I don't always have access to a refrigerator. I'm also usually running to get out of the house in the morning, so I don't want to have to locate multiple food containers or worry about how to keep them iced before heading out of the door. 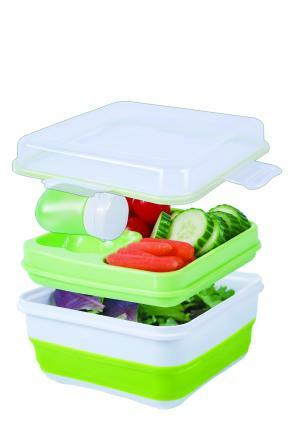 With the Cool Gear container-within-a-container system, it's easy to assemble and store healthy meals ahead of time, including salad makings and dressings, within a single package in a way that will keep them separate and fresh while also keeping them cold. I also like the fact that the containers collapse for easy, space-saving storage. A review on The NYC Talon blog points out that these containers are also ideal for transporting food to cookouts and picnics. You can find items from the Cool Gear lunch collection from a variety of retailers, as well as on the Cool Gear website. Prices vary from to $7 to $16 per piece, depending on which piece(s) you select. Not every school or work lunch item needs the benefit of a built-in freezer pack or lid. Peanut butter sandwiches and portions of nuts, crackers or chips are popular lunch choices for kids and adults alike. While these items can be stored and transported in disposable plastic bags, you don't have to create unnecessary waste when packing these types of items. 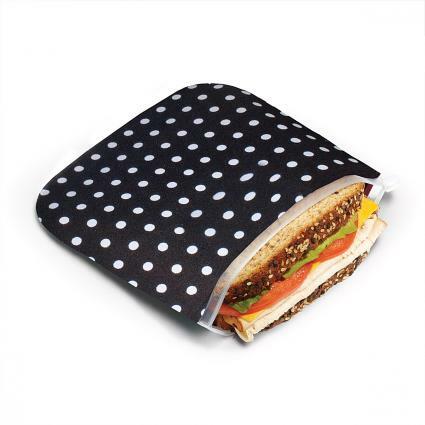 The Built NY Sandwich & Snack Pack set is a perfect reusable storage bag option for these types of meals and snacks. I received a Built NY Sandwich & Snack Pack set to review, and was quickly impressed. I'm always looking for ways to reduce waste without giving up convenience, and this food storage set is a great way to do just that. Instead of using throw-away plastic bags when packaging sandwiches or dry snacks for work, it's simple and easy to use these handy reusable bags. They have zip-top closures that work just like those on disposable bags that zip shut, and the easy-to-wipe-clean food-safe plastic lining is free from BPA, PVC, latex and vinyl. They even stand upright, which makes them easier to fill than flimsy throw-away bags. I have used my set to transport lunch to work and to pack snacks for a long road trip with positive results. A review on the Sweetnicks.com blog also points out that Built NY food storage containers are well-made and durable, holding up to daily use by active kids. Each set, which includes one sandwich bag and one snack bag, costs just under $10. A variety of attractive designs are available. You can purchase directly from BuiltNY.com. There isn't a one-size-fits-all solution to meeting your food storage container needs. Keep a variety of containers on hands so you'll be prepared to take care of every task that comes up, from short-term leftover or bulk food storage to longer-term freezing, as well as preparing meals to enjoy when you're dining away from home.